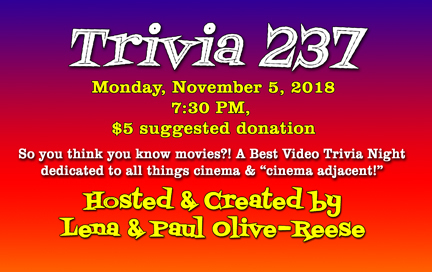 Best Video Film & Cultural Center returns with its monthly trivia night, Trivia 237 (or “T-237” for those dystopian future-minded folk) on Monday, Oct. 8. 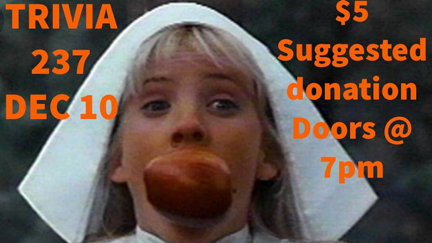 The event starts at 7:30 PM and admission is a suggested donation of $5. 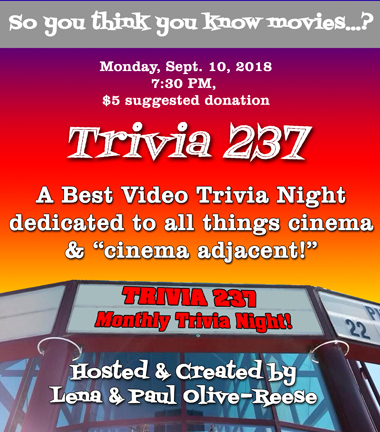 Best Video Film & Cultural Center returns with its monthly trivia night, Trivia 237 (or “T-237” for those dystopian future-minded folk) on Monday, Sept. 10. 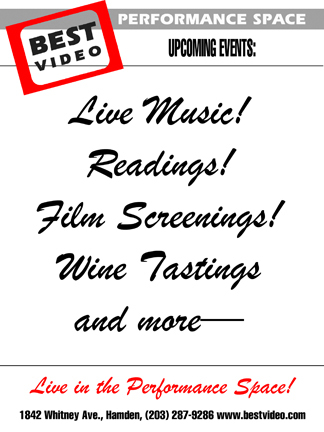 The event starts at 7:30 PM and admission is a suggested donation of $5. 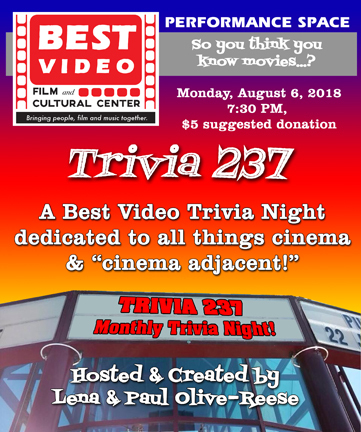 Best Video Film & Cultural Center returns with its monthly trivia night, Trivia 237 (or “T-237” for those dystopian future-minded folk) on Monday, Aug. 6. 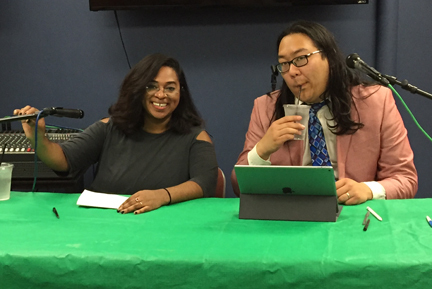 The event starts at 7:30 PM and admission is a suggested donation of $5. 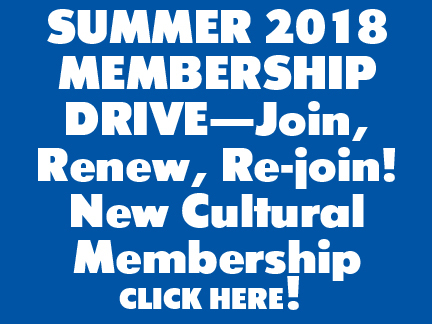 The first T-237, on July 3, 2018. 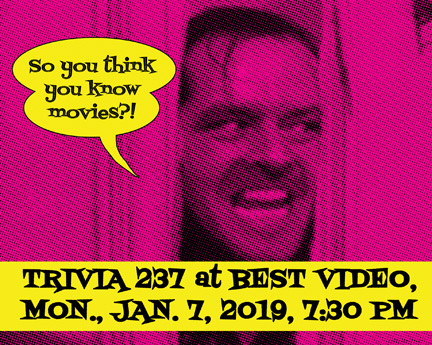 Best Video Film & Cultural Center launches a new monthly trivia night, Trivia 237 (or “T-237” for those dystopian future-minded folk) on Monday, July 2. 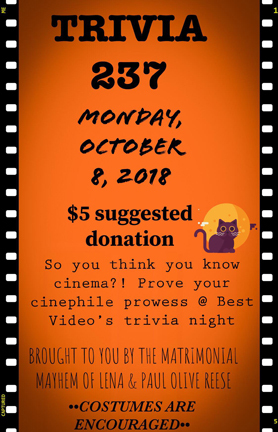 The event starts at 7:30 PM and admission is a suggested donation of $5. 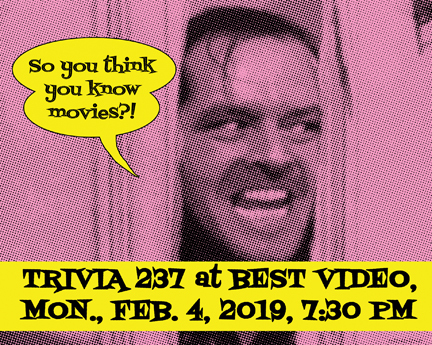 Trivia 237—named after the infamous Hotel Stanley room in “The Shining”—is the brainchild of BVFCC barista Lena Olive-Reese and her husband Paul. 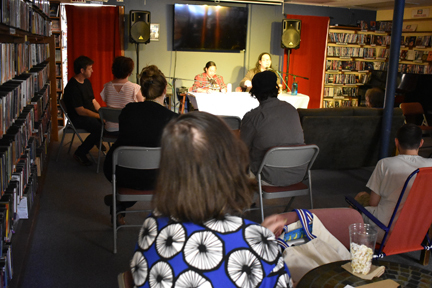 Lena and Paul, the creators and executive producers, will also host the event. 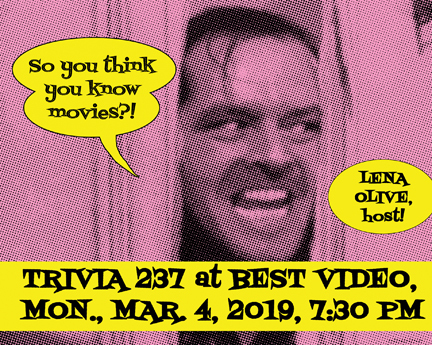 Trivia 237 will be a team trivia event comprised of four rounds of quizzing with ten questions per round, for a total of forty questions. 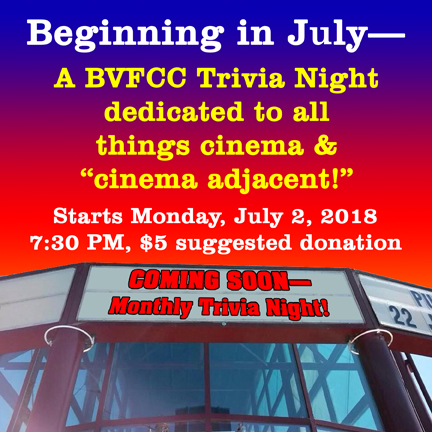 Questions will cover a wide range of cinema-related (and “cinema-adjacent”) material: film facts, box office statistics, store facts, film score, television, reviews, among others.